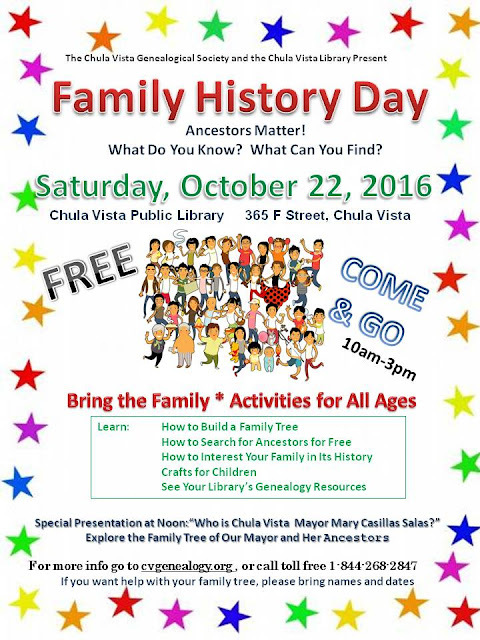 The Chula Vista Genealogical Society (CVGS) and the Chula Vista Library are sponsoring a FREE Family History Day at the Chula Vista Civic Center Branch Library (365 F Street in Chula Vista, California, 91910) on Saturday, 22 October, from 10 a.m. to 3 p.m.
Randy Seaver will give the keynote address, "Be An Ancestor Detective," at 10:30 a.m. in the Auditorium. 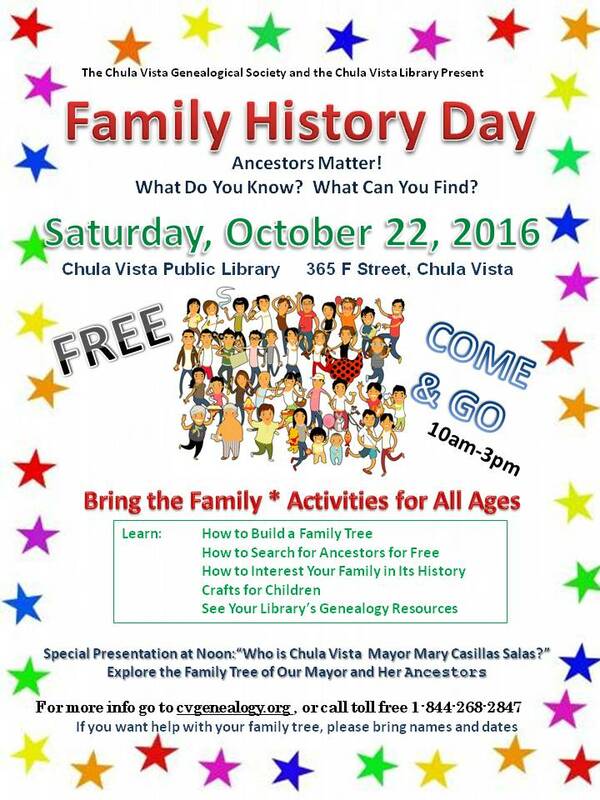 At 12 noon, Ceasar Castro will present "Who Is Chula Vista Mayor Mary Casillas Salas?" in the Auditorium, a "Who Do You Think You Are?" style program which will explore the family history of our Mayor with her in attendance, and, hopefully, surprised by the revelations. There is more information on the CVGS website, www.CVGenealogy.org. Labels: CVGS, Family Stories, Family Trees, genealogy resources, Online resources, San Diego area, WDYTYA?